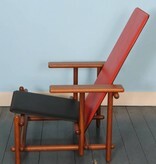 Very interesting prototype of a padded lounge chair by Cassina. 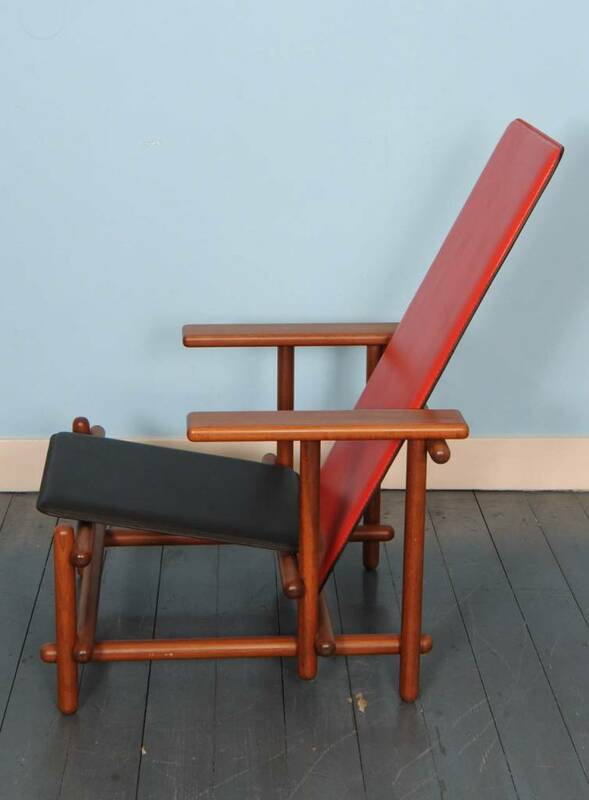 In the early 1970s The Italian company Cassina acquired the exclusive production rights for a number of Gerrit Rietveld chairs, among them the famous Red-And-Blue Chair. 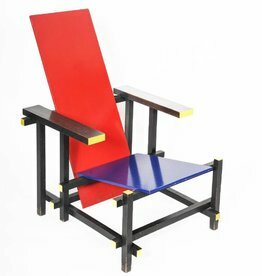 This particular chair was obviously modelled after Rietveld's masterpiece. 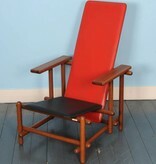 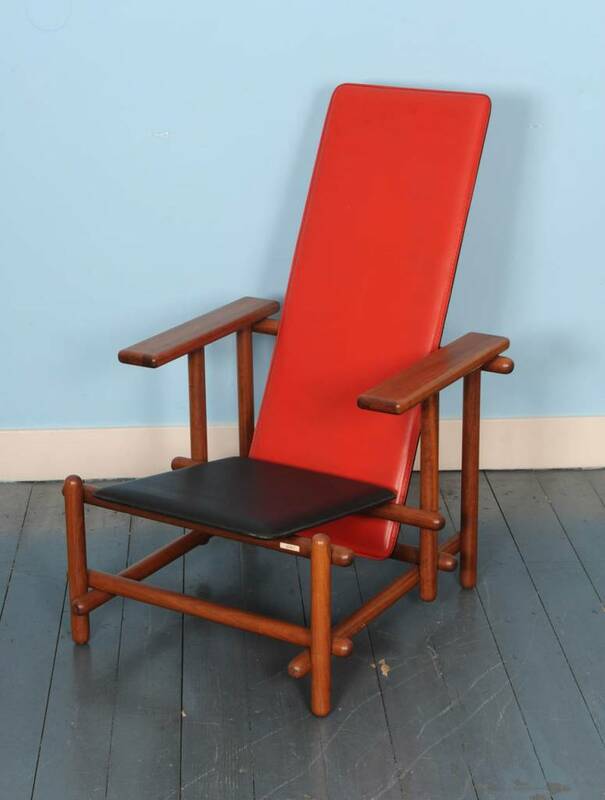 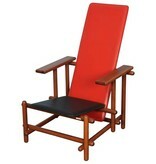 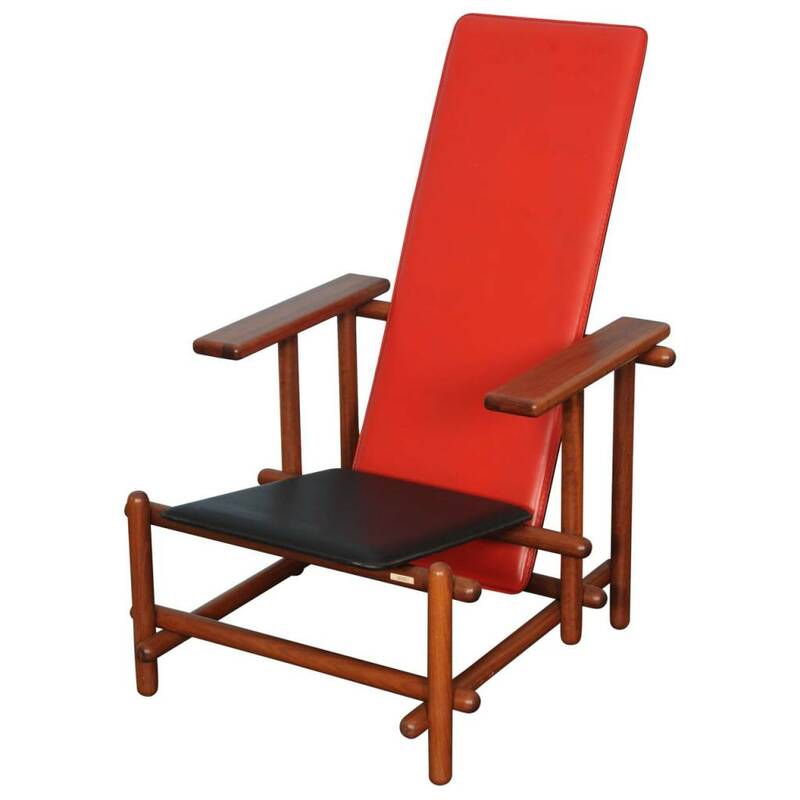 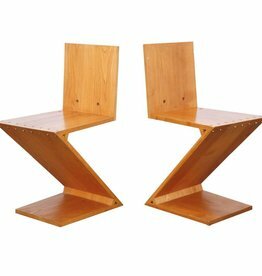 Back in the 1920s Rietveld did use rounded elements and padded seats as well in other less known models. 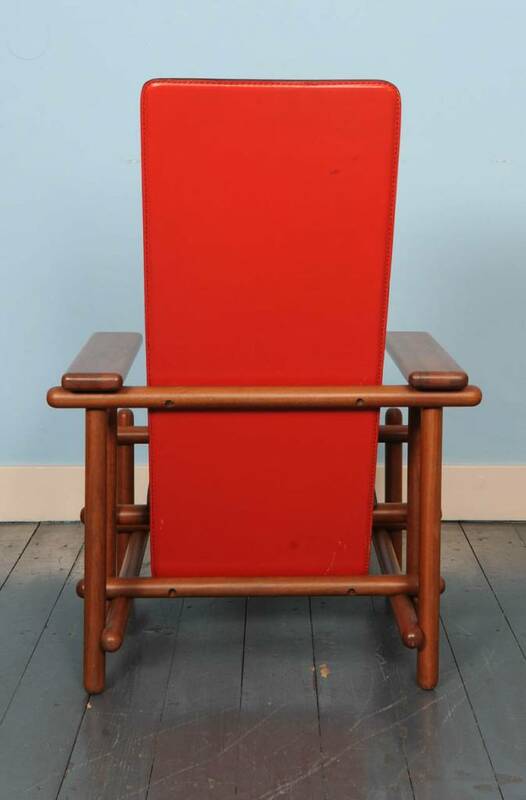 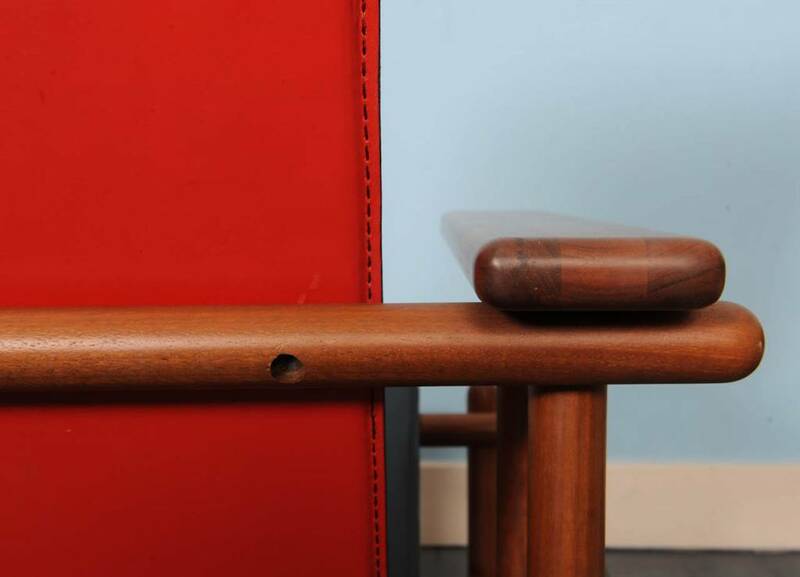 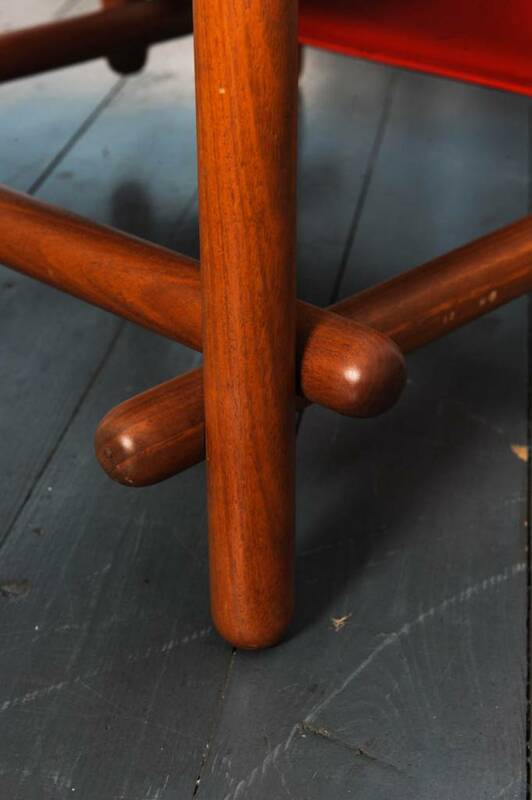 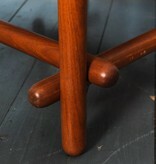 This chair is marked with an original Cassina label. 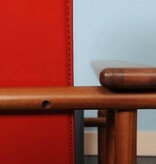 After inquiry Cassina confirmed that the chair was manufactured as a prototype in the early 1970s. 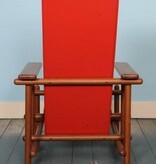 The Chair has since been sold to the Central Museum Utrecht.